Today’s blog entry is going to be different than most. I want to introduce you to Bailey. He is my 6 year of Golden Retriever. From his earliest puppy days he has been my helper and co-worker. 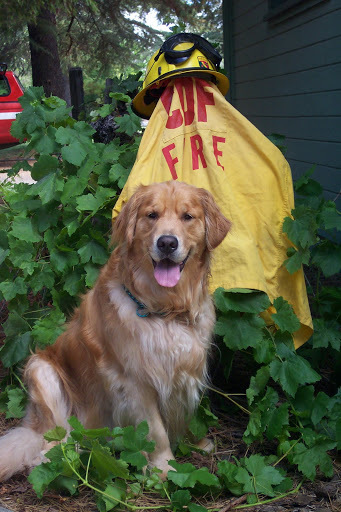 While working with the California Department of Forestry and Fire Protection (Cal Fire) he was known as Bailey the Fire Dog. He has worked in fire safety education. As Fire Chaplain Dog he has assisted in many Critical Incident Stress Debriefings besides just comforting victims of the sorrows of life. He has also come to be known as the Deacon Dog. He lives a simple yet powerful four-footed furry lesson in the grace of simply trusting, loving and joyfully serving whomever he meets. Bailey is an excellent reminder of the message of God’s Word to join with all creation in living in praise to God. Bailey is such a blessing…as are all of God’s creatures. 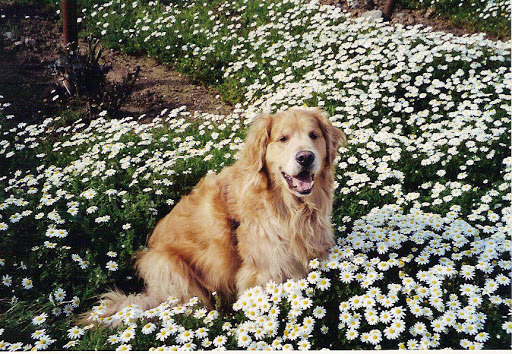 I wish we could be more like Bailey…a loving spirit and an obedient soul who seeks to do little more than please. If we were ALL Bailey…it’d be a better world.